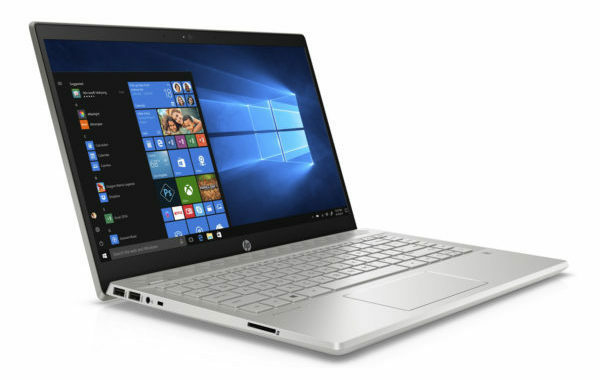 Sobriety and efficiency are some of the qualifiers that can be attached to the HP Pavilion 14-ce0008nf. 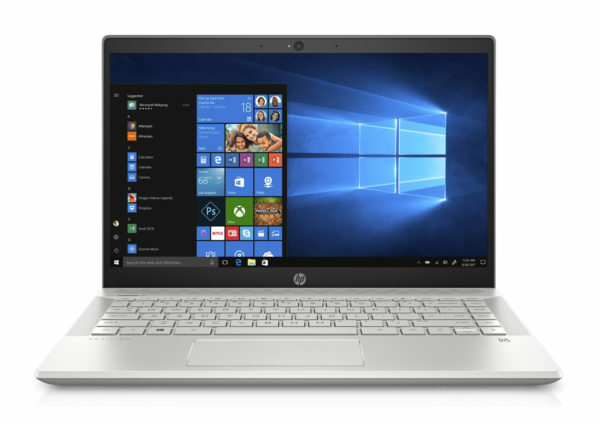 This 14-inch ultrabook takes advantage of a balanced configuration to support you in your multimedia work with the support of a quad Core i7 and a dedicated entry-level graphics card. 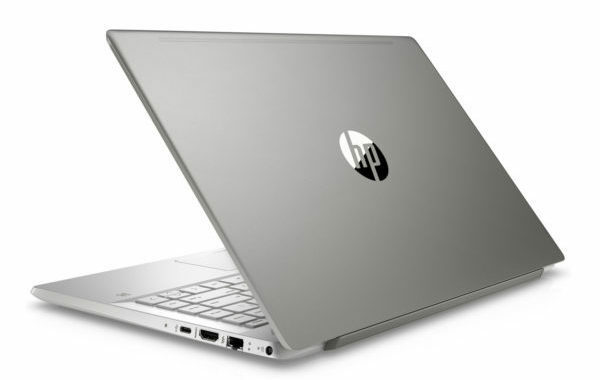 Its screen is good and immersive and fluidity is required thanks to RAM and SSD storage (hybrid). We have already seen 14 inches more compact yet and the autonomy should not hold a whole day. 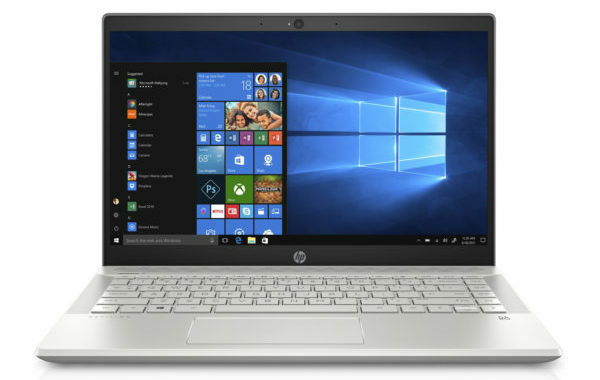 The design of the HP Pavilion 14-ce0008nf is sleek and discreet with an aesthetic that plays on a darker (gray) tone on the lid and a central chrome logo that dominates a smooth, matte silver base. The back of the lid is covered with metal for more robustness and the rest of polycarbonate / plastic. The silhouette is now angular with protruding edges and the central hinge has been slightly redesigned from the previous generation. It will always raise the keyboard when opening the cover for comfort typing and good air circulation below, a good point. The keyboard keys are backlit in white to highlight the keystroke. It is very useful for working in all environments, even the dark ones. It is observed that the borders on either side of the screen are refined, which implies an optimized size. The thickness has also gained a few millimeters ( 17.9 mm ) and the weight is quite impressive on this model ( 1.69 kg ). These measurements are average in the category of ultrabook 14 inches. At the opening of the ultrabook, we discover a 14-inch screen based on a micro-edge IPS panel with side edges of a few millimeters. It sports an extended definition Full HD (1920 x 1080 px) which offers all the latitude to enjoy your content in High Definition and to modulate the display of windows on the screen. The comfort is at the rendezvous thanks to wide viewing angles (IPS), a colorimetric spectrum respected and an anti-reflective surface that against reflections in bright environment. A sufficiently varied connectivity garnished the sides. There are three USB ports including two USB 3.1 and a USB Type-C (Gen1), an HDMI output, an SD card reader and a Gigabit Ethernet port. Recent Bluetooth 4.2 and Wifi AC modules are also on the menu for fast wireless data exchange. 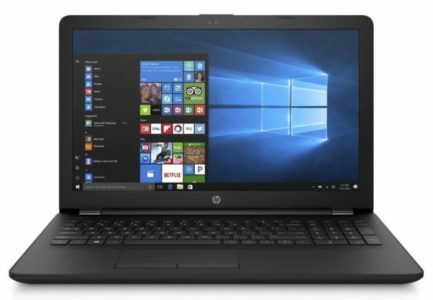 The HP Pavilion 14-ce0008nf also hides a good level of performance allowed by its recent Quad Core i7-8550U supported by 8 GB of RAM . This processor is very close to the latest generation in terms of performance (about 10% less) is perfectly comfortable with office and multimedia tasks, including surfing the Internet, playing videos, working on Office or photo editing (Photoshop, Lightroom) with a nice ease in other missions a little more demanding thanks to a good use of the Turbo (Adobe Premiere, editing). In addition, the 8GB RAM ensures its share of the market to ensure comfortable multitasking. 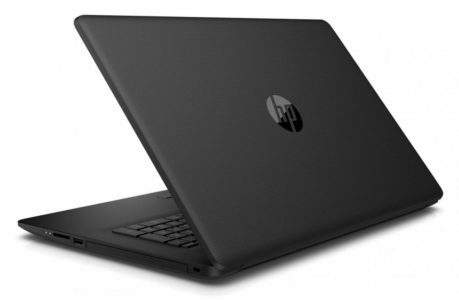 But the ultrabook is not limited to basic tasks since it is equipped with a GeForce MX130 graphics card . Overall, it aligns with the performance of a GeForce 940MX and will ensure the game in fair conditions provided to lower the definition of the standard HD screen (1366 x 768 px). The game in Full HD is possible, but only on titles greedy and limiting the level of details (Low, Medium). A notion of autonomy to finish. Its battery is not huge (41 Whr) but the ultrabook should get away with 7 hours on average in current use.